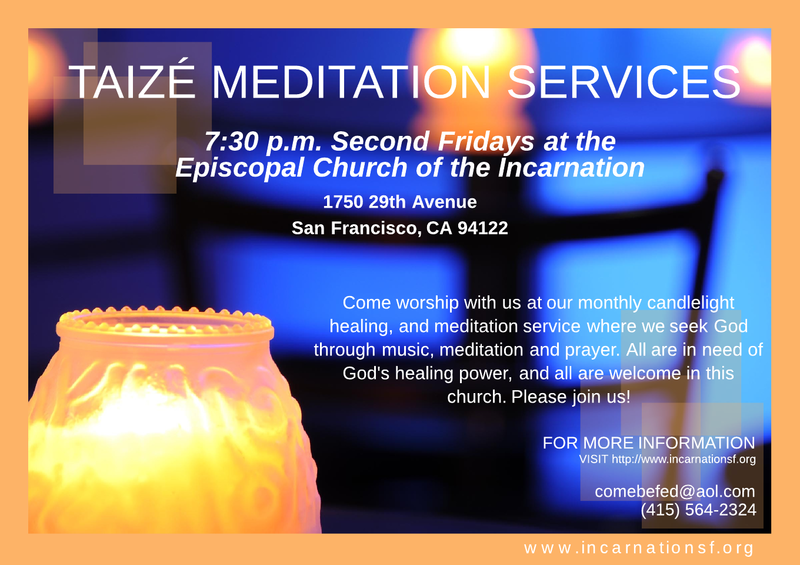 Join us at 7:30 p.m. every second Friday of the month, as we worship Jesus Christ in a peaceful, contemplative, candlelit setting during our Taizé service. We enter into a time of silence together, interwoven with Scripture, prayers and singing. We also offer prayers for healing and anointing. The Taizé community, though Western European in origin, seeks to welcome people and traditions from across the globe. This is reflected in the music and prayers where songs are sung in many languages, and increasingly include chants and icons from the Eastern Orthodox tradition. The music emphasizes simple phrases, usually lines from Psalms or other pieces of Scripture, repeated and sometimes also sung in canon. The repetition is intended to aid meditation and prayer. Much of the earlier Taizé community music was conceived and composed by Jacques Berthier. In many places across the world, ecumenical prayers using music from Taizé are organized by people, young and old, who have been in touch with the community. The community’s website provides reflections, prayers, and songs for use in local prayers.